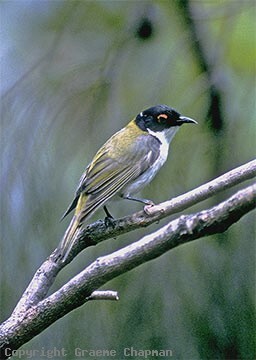 White-naped Honeyeaters are widespread throughout forested eastern and southern Australia from near Cooktown in the north around to Adelaide and Kangaroo Island. 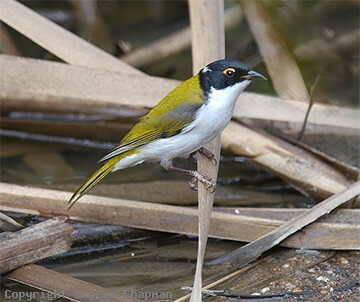 They spend much of their time in the outer foliage of the tallest forest trees feeding on insects, manna lerps and nectar. 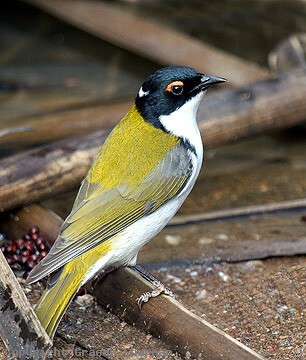 Their small cup-shaped nests are also suspended amongst hanging leaves of tree canopies high off the ground, so in general they are not easy to observe. Perhaps the most notable feature of their life history is their migration. 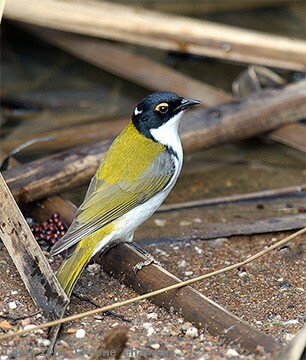 Usually in the company of Yellow-faced Honeyeaters, they undergo one of the most spectacular massed winter migrations of any bird up the east coast of Australia. Flocks can number in the thousands. Their return journeys are more spaced and not as noticeable.